Download Poster Frame in Hand Mockup PSD. Today’s freebie is a Free Mockup Template where a women holding Poster frame in hand in a outdoor environment. This Free Poster Frame Mockup will help you showcase your poster, flyer, design artwork, photos and more in a beautiful and photorealistic way. You can use adobe photoshop to add your own custom artwork and designs easily with the help of the smart object layers in just few clicks. So If you want to present your Photos, Flyer, Poster designs in a best unique way possible in order to catch people and client attention then this Free Poster Frame in Hand Mockup is perfect for you. 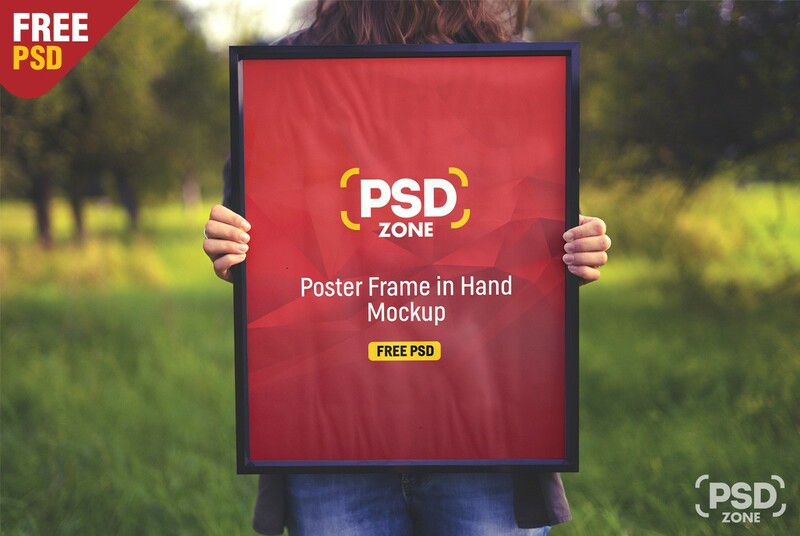 Hope you like this Poster Frame in Hand Mockup PSD. Enjoy!